School work. 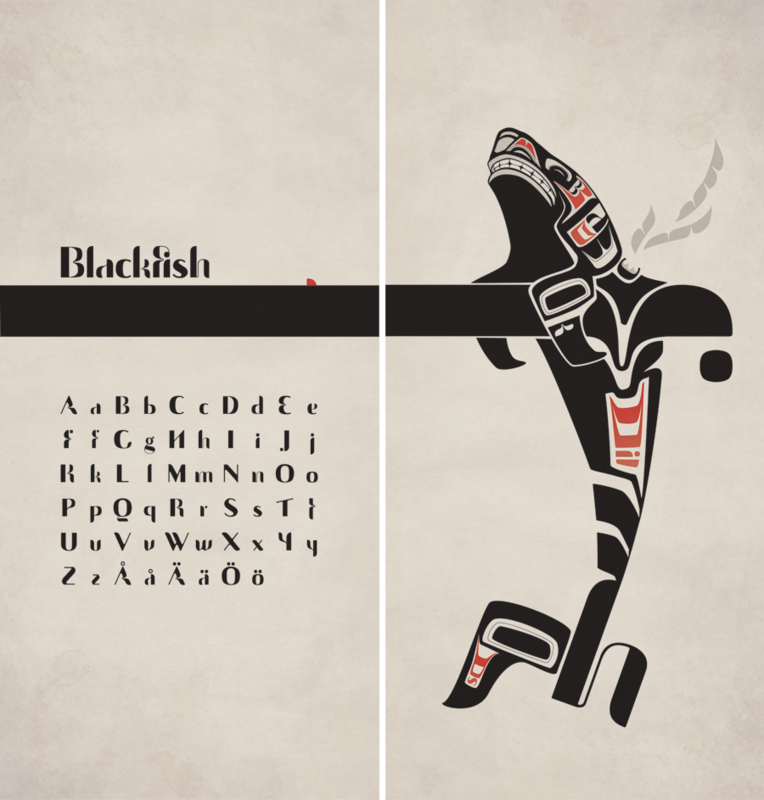 A typeface inspired by the gorgeous artwork of the Haida. Best suited for designs that need to stand out, like logos.